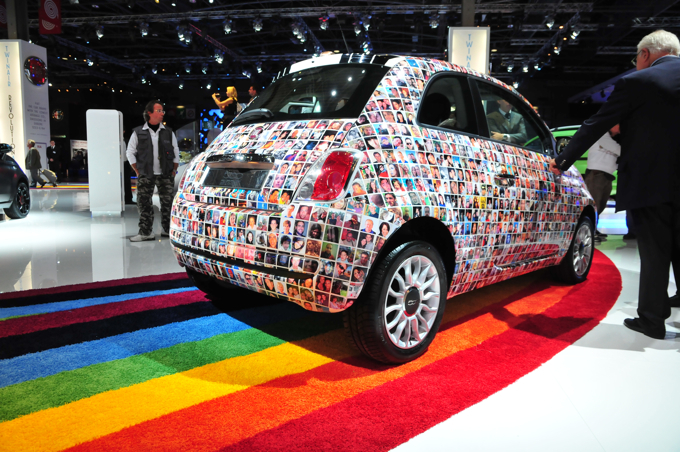 Yes, this is a beautiful Fiat 500 created as the perfect rainbow, made by many pictures with human faces. This Fiat 500 was specially created for this year edition of Paris Auto Show. 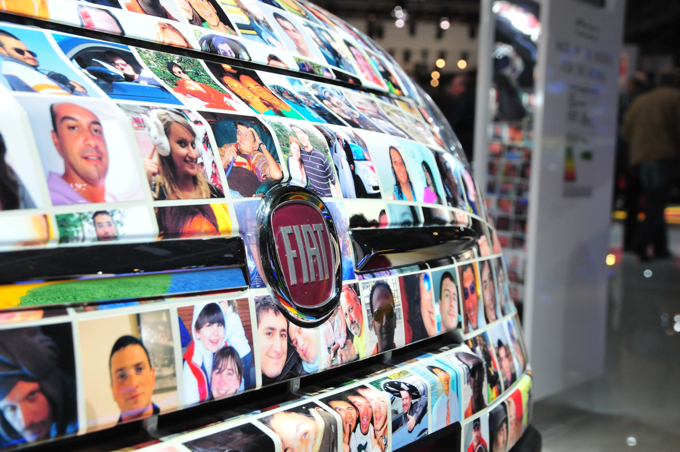 The designer assured that this Fiat is decorated with 1,500 photos of its fans and customers, as a result of its sales success.